Dominant, mature males are yellow and red, with well defined egg spots and a blue tip to the dorsal fin. 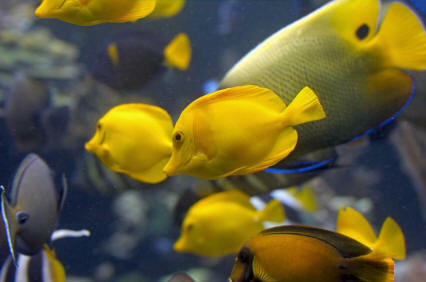 Sub-Dominant males are pale yellow. Females are grey-brown. They are relatively easy to feed: good quality dry food, flakes, pellets, brine shrimp, blackworms and frozen bloodworms are all readily accepted, however the latter two are best fed on an occasional basis only. Not difficult. 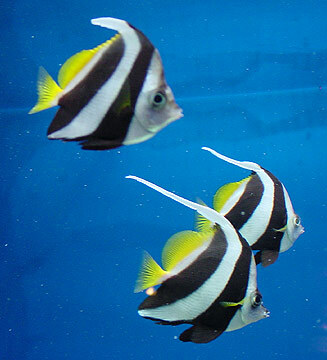 One male and several females is the optimal combination, or in a large tank a sub-dominant male can be introduced for increased competition and colour. The eggs are laid in a pit dug by the male, then taken into the female's mouth. The eggs hatch after two weeks. Be careful not to startle the female as she may reject or swallow the eggs. The female will take care of the fry for up to four weeks from hatching. 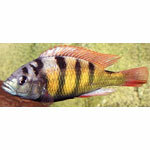 It is compatible with most Malawian Mbuna (rock dwelling cichlids). Provide plenty of rocks for hiding places. The colourful males can be very aggressive when breeding, so adults should be provided with plenty of hiding places.